Fun session to develop basic knowledge of Defensive and Attacking headers. Description: Players work in groups of three in a 6x6yd square with one ball. Start with the player in the middle who serves to an outside player, this player heads the ball over the servers head to the other player. Repeat for 30-40secs and change server. 1. 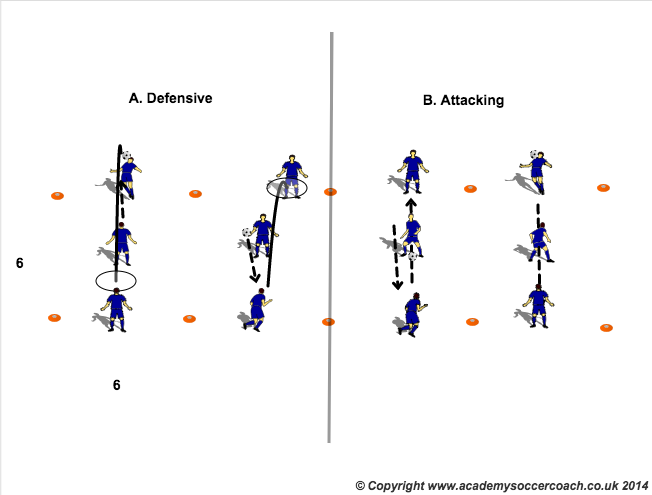 (B) Attacking Header – Now, head the ball through the legs of the server to work on attacking headers. Body shape for stability. Arm position, knees flexed. 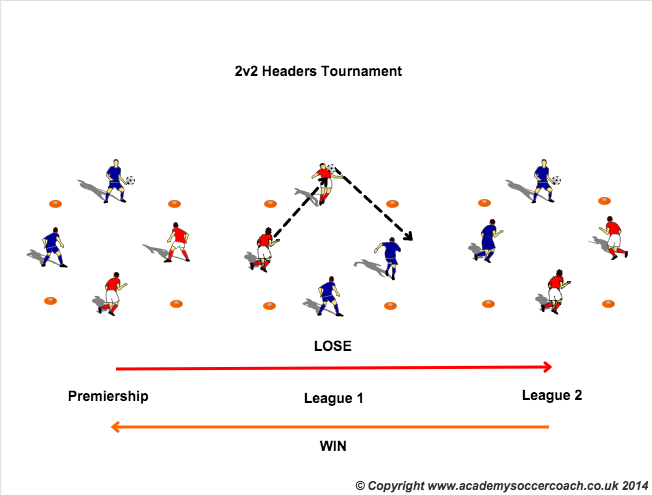 Description: Teams play 2v2 and start in any square, to begin one player serves the ball to their teammate who tries to score by heading the ball past an opposing player. The other team either catches the ball or lifts it and serves to their teammate. Play 2-3min games and switch grids, winners move up (or stay at top) and losers move down. Flip a coin/extra time to determine winners of drawn games. Winning team is the team who win final game in Premiership.